Building the Perfect Outfit for a Night Out! I’ve been traveling all over the country with my husband to rodeos for years, and one of the most fun parts of going with him, aside from cheering him on and being his number 1 fan, is getting the chance to dress up. See, when we aren’t at rodeos, we are at home on our ranch in small town Oregon. Honestly, the cows don’t care how I look, as long as they get fed. So anytime we hit the rodeo trail, you know I’m taking full advantage of the chance to dust off my turquoise and get dressed up! 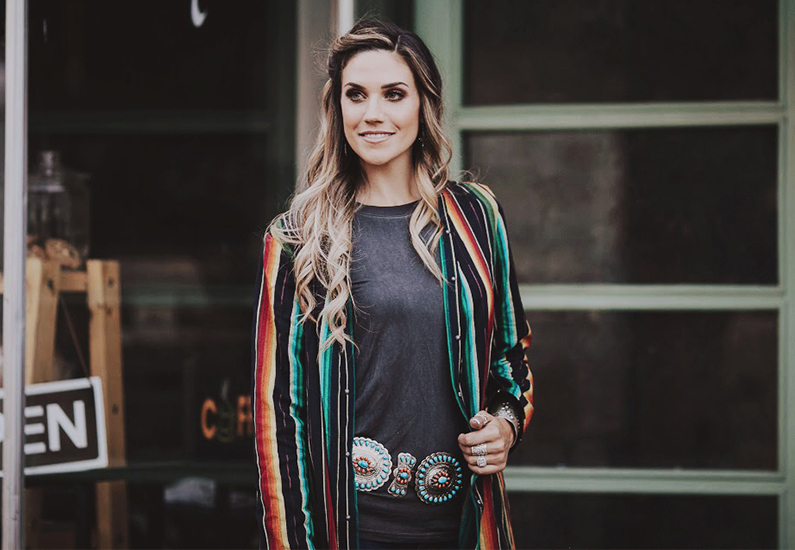 We’re headed to RodeoHouston so I’m going to share my outfit planning tips and tricks. Let’s get started! 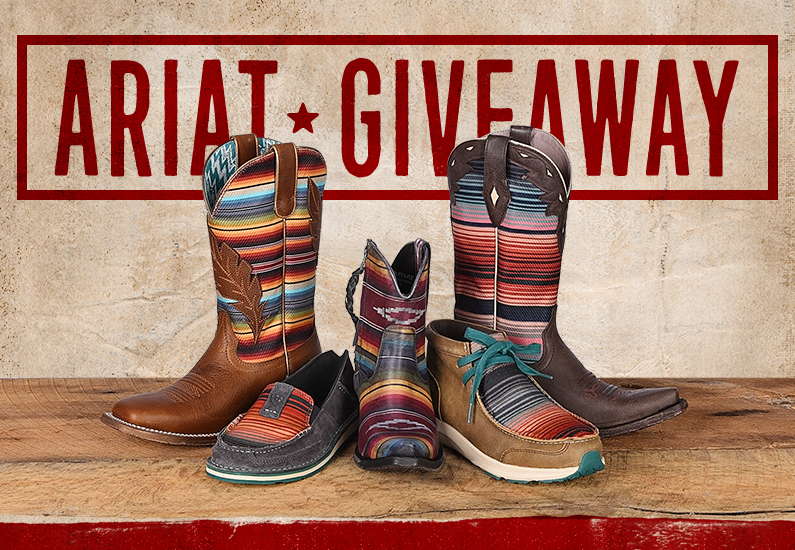 Ariat Fashion Footwear Giveaway entries must be made by 10/22/18 at 10:00 AM CST. Winners will be announced and contacted by email by 10/23/2018 date. One entry, per person, per day. Kick off summer with a new pair of Yippee Ki Yay by Old Gringo boots! 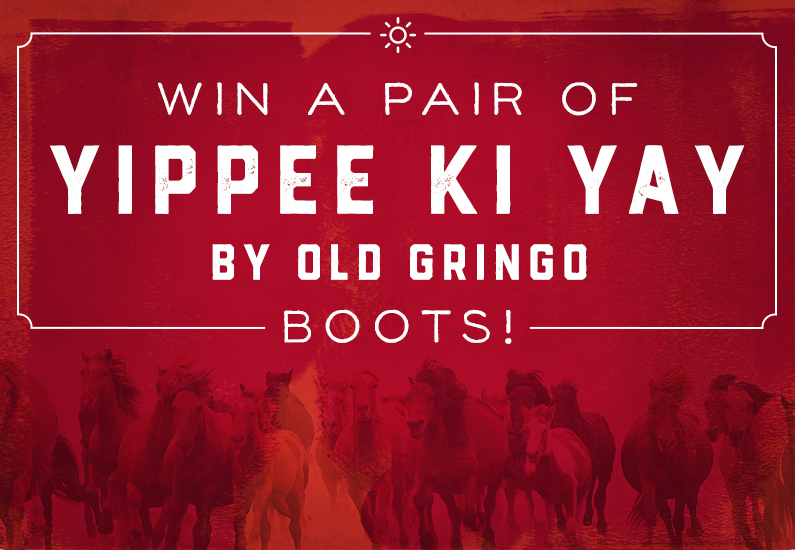 Enter below for a chance to win Yippee Ki Yay boots – two (2) winners will be selected at random. Each winner will receive one (1) pair of women’s Yippee Ki Yay boots valued up to $329.99. Entries must be made by Monday, May 28, 2018 at 10:00 am CST. Winners will be announced and contacted by email shortly after. One entry, per person, per day! Entries for contest begin on 5/23/18 and will end on 5/28/18 at 10:00 AM CST. Winners will be announced and contacted by email by 5/28/18 date. One entry per person, per day! Contest begins on 5/23/18 and will end on 5/28/18 at 10:00 AM CST. Two (2) winners will be selected at random from online entries. Winner will receive one (1) pair of women’s Yippee Ki Yay by Old Gringo boots valued up to $329.99 (excludes exotic leather styles). To enter, visit www.CavendersRanch.com and fill out the giveaway entry form with name, mailing address, phone number, and email address. One (1) entry per person, per day. No purchase necessary to win. Cavender’s will only use personal information to notify you if you are chosen as a winner, or if you wish to receive updates from Cavender’s in the future. Winner will be selected at random. Odds of winning depend on the total number of entries received by the due date. Winners will be notified via email by a representative of Cavender’s. Winners must respond to notification by email or phone call in order to receive the prize. In the event that a winner does not respond within fourteen (14) days of notification, a new winner will be selected at random. Prizes will be mailed to the winner as soon as a response to the notification is received. Prize is not assignable and nontransferable. No substitutions allowed by the winner. Prizes are not redeemable for cash. Winners are solely responsible for reporting and payment of any taxes on prizes. Prizes not won or claimed by eligible winners in accordance with these Official Rules will not be awarded and will remain the property of Cavender’s. Winners will be posted below after the completion of this contest. The decisions of Cavender’s regarding the selectin of winners and all other aspects of the Contet, shall be final and binding in all respects. Say I DO to the perfect wedding boots! 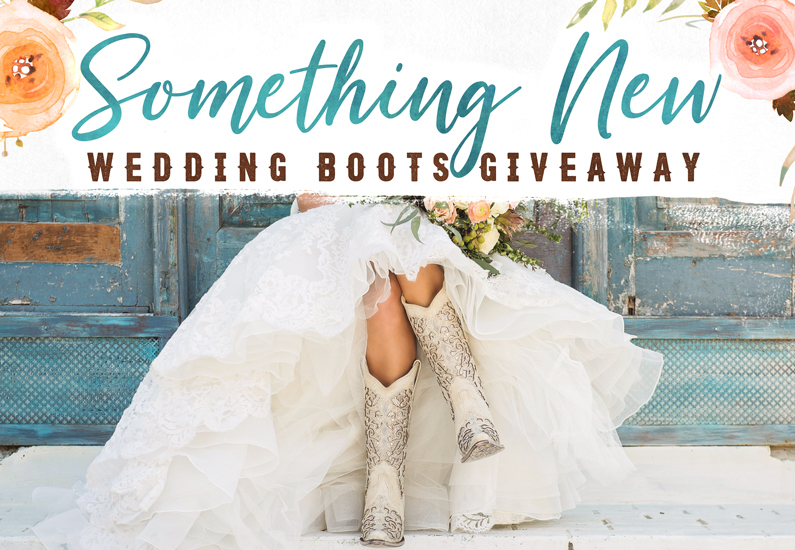 Enter below for a chance to win a pair of boots for the bride to be. Entries must be made by 3/30/18 at 10:00 AM. Winner will be announced and contacted by email by 4/2/2018 date. One entry, per person, per day! Entries must be made by 4/2/18 at 10:00 AM. Winner will be announced and contacted by email by 4/3/2018 date. One entry, per person, per day! Contest begins on 3/19/2018 and will end on 4/2/2018 at 10:00 am CST. One (1) grand prize winner will be selected at random from online entries, and will receive a prize of one (1) pair of Corral boots valued up to $400 (excludes exotic leather styles) and one (1) $250 Cavender’s gift card. One (1) runner up winner will be selected at random from online entries, and will receive a prize of one (1) pair of Corral boots valued up to $400 (excludes exotic leather styles). To enter, visit CavendersRanch.com and fill out the giveaway entry form with name, mailing address, phone number, email address, and age. One (1) entry, per person, per day. No purchase necessary to win. Cavender’s will only use personal information to notify you if you are chosen as a winner. Winners will be selected at random. Odds of winning depend on the total number of entries received by the due date. 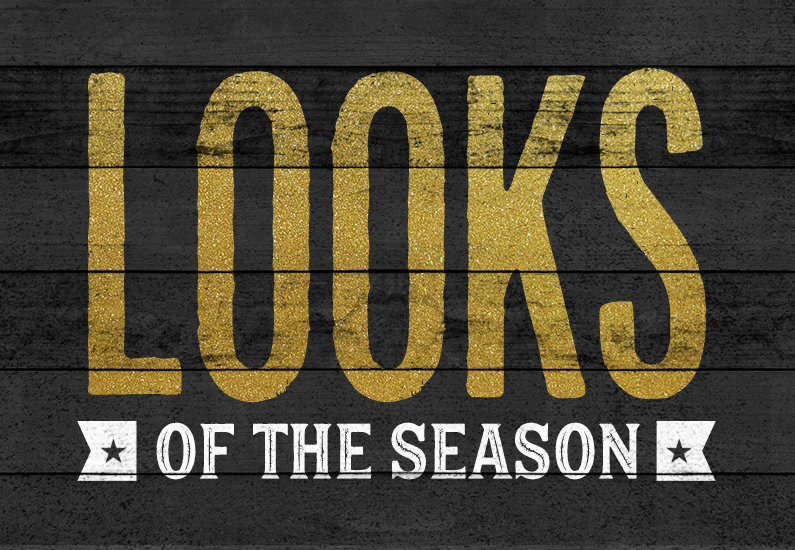 Winners will be notified via email by a representative of Cavender’s. Winner must respond to notification by email or phone in order to receive the prize. In the event that the winner does not respond within 7 days of notification, a new winner will be selected at random. Prize will be mailed to the winner as soon as a response to the notification is received. Prize are not assignable and nontransferable. No substitutions allowed by the winner. Prizes are not redeemable for cash. Winners are solely responsible for reporting and payment of any taxes on prizes. Prizes not won or claimed by eligible winners in accordance with these Official Rules will not be awarded and will remain the property of Cavender’s. Winners will be posted below after the completion of this contest.